TDP Can't Make Pawan CM? 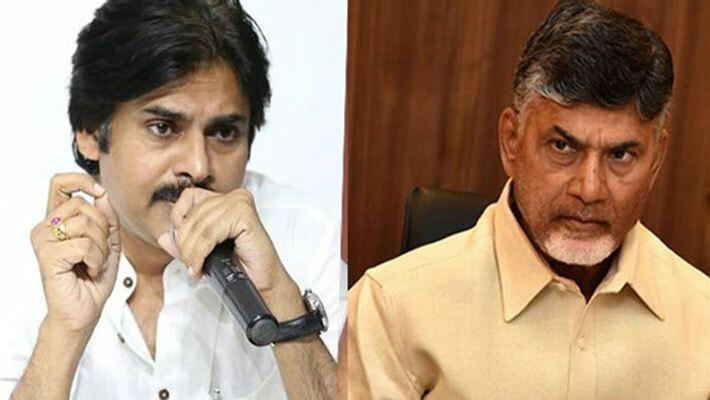 TDP Can't Make Pawan Kalyan CM? Chandrababu Naidu led TDP unexpectedly gained priceless support of Power Star Pawan Kalyan led Janasena in 2014's election battle. Besides, the party allied BJP. Finally, TDP won 100+ MLA seats with the vote share 46%. However, TDP appeared to have been cursed as Pawan Kalyan decided to contest in the poll battle independently. Moreover, BJP too provoked TDP to break the alliance as the BJP predicted TDP's defeat long ago. As we know, general elections were held on April 11 in AP. Internal reports predict a huge defeat of TDP in the elections. Furthermore some of the analysts have gone overboard envisaging just single digit number of MLA seats to TDP. Prior to the elections, it was assessed Janasena would win 50+ MLA seats and TDP would get 30+ seats. And then, TDP was expected to play kingmaker role to make Pawan Kalyan the CM in hung situation. If at all TDP gets confined to single digit seats, Janasena can't form government. The party needs to have a faith on silent revolution among voters which could make Janasena reaching magic number. In the meanwhile, Naidu has predicted humiliating defeat of the party in the poll battle. That's why, CBN prepares lame excuses for the part's defeat. Reportedly, CBN will accuse EVMs, Election Commission, BJP and YS Jagan on the day of counting which falls on May 23.